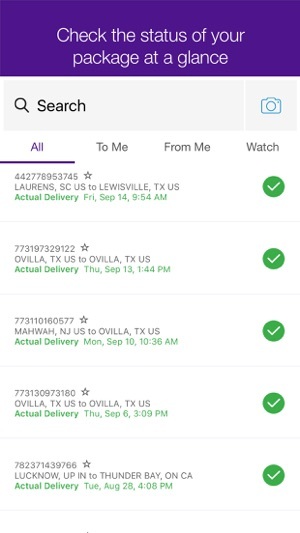 Track shipment status with the FedEx Mobile app on your mobile device. 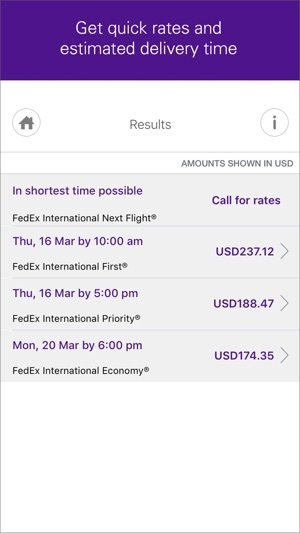 Use the FedEx app to get quick rates and scan barcodes. 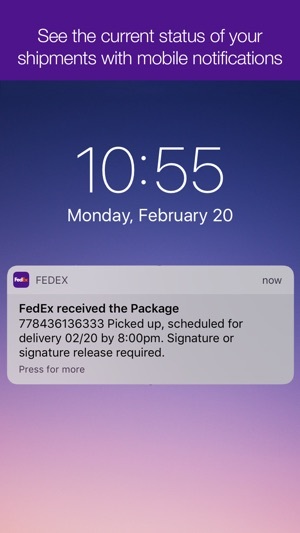 *To maximize your experience on the FedEx Mobile app, allow the following permissions: Location to find a convenient FedEx location, Camera to scan a shipping label and track a package and Push Notifications to receive notification on a package. Card left in mailbox directs you to website to arrange a different delivery time. Website directs you to create account or download app. Both only give you the ability to track not re-schedule. This app was supposed to enable users to schedule a pickup, print airway bills from a smart phone, etc. but it does not do that at all!! Only allows tracking, which is useless for an app. Such a disappointment!